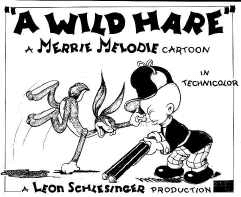 July 27, 1940- Bugs Bunny debuts in "Wild Hare"
July 29, 1928- "Walt Disney's ""Steamboat Willie"" is released"
History Undressed would like to welcome back guest author, Laurel Wanrow, with Part Two of Lessons from a Family History on Sawmill Operation. 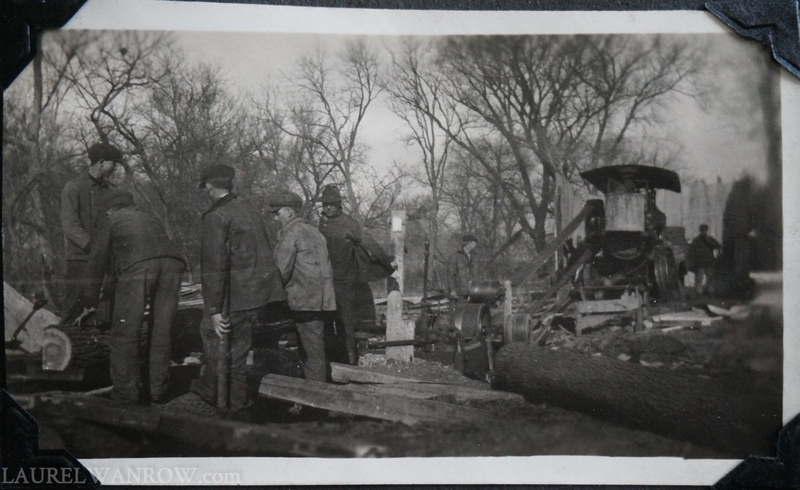 Last week, I introduced my grandfather, Herb Wanrow, and the operation of his steam engine-powered sawmill. 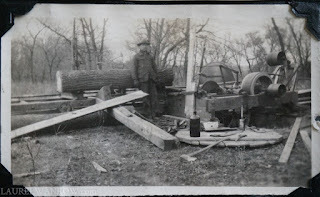 To my surprise, according to my aunt, most times Herb would take the sawmill to people. I’d never heard of a portable sawmill, but understood why Herb moved the operation when she reminded me that back in those times transporting the sawmill was easier than hauling the logs for a building’s worth of lumber to Herb’s farm—and back again! 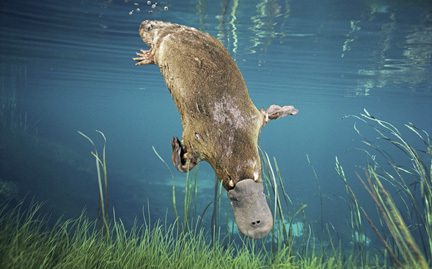 There was one caveat: the location had to have a supply of water. Usually the farmers in the area cut from their timber and dragged the logs with teams of horses or mules to a local water source, then put in a request for Herb to come out. However, I learned ‘easier’ was relative when my aunt relayed this story. 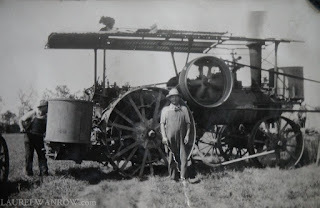 Herb and his fireman would set off in the morning with the steam engine pulling the entire rig: sawmill on its wheeled platform, water tank mounted on iron wheels and a wagon filled with slabs. 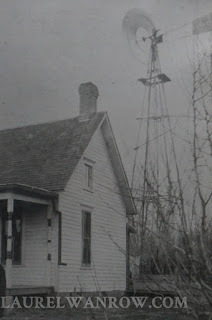 First, he’d stop at his parents’ windmill to fill the water tank—just as we would begin a car road trip with topping off the gas tank. With the twelve-foot long metal chamber full, they wouldn’t risk running out steam power. The steam engine was powerful, but slow. Steering wasn’t ‘power steering’ but a chain running from the steering wheel to each front wheel to change directions. At three to four miles per hour, it took them most of the day to drive to one of the places they frequently set up, Lenning’s farm, five miles away. I started to correct my aunt on this math, but she reminded me they had to stop to stoke the fire, add wood, and add water to the steam engine, which meant unhooking and bringing the water tank around each time. He’d pretty much use up that tank of water. My grandmother knew the route, so would catch them at noon, taking Herb his lunch along the road. 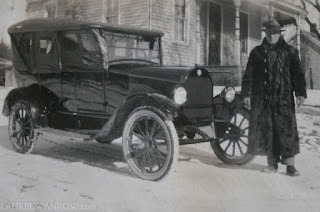 He ate as he drove—fried chicken, pickles, bread and pie or cake. 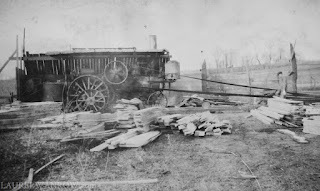 Once there, the all the equipment was unloaded and the sawmill set up again, including digging a pit for the sawdust to fall into, aligning the engine to the sawmill so the belt ran straight between the pulleys, and leaving room for the rails and log carriage. 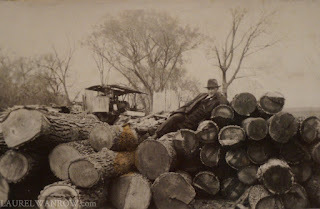 Then, Herb, could remove his coat and get to the business of directing the next set of customers on how to handle the logs while he operated the sawmill’s blade. Seeing this really drove home the teamwork involved. Herb might have owned the rig, had the willingness to tinker and adjust, the ability to detect when it was working properly, and the skill to use up that cant efficiently, but he couldn’t do the work by himself. A lot of steam stories seem to be romanticized, making machinery operation sound easy—the heat, fuel needs and labor to run them glossed over. Listening to my dad and aunt tell these memories of their family helped me to imagine many details for my steampunk story and brought up a few realities I wanted to get right. Steam machinery is big and slow. I realized that once their equipment was out in the field, my farmworkers would not be returning it to the outbuildings each night. I gave them ‘equipment sheds’ in the fields for temporary storage, and even set the shapeshifter hero’s opening scene there, chasing one of the mysterious pests through the spindly legs of the stored clockwork machinery. Water and fuel to heat it must be available. I didn’t give this a lot of thought in my early draft. I had boys levering a hand pump to send water to the tank of a two-story tall machine—through a hose. (What was I thinking?) When my aunt mentioned her dad used his parents’ windmill to fill his water sizable water tank, I asked, didn’t your farm have water? Not really, she answered, just a well with a hand pump…and to pump that amount of water by hand was unthinkable. The light dawned: the windmill did the heavy pumping. I immediately put up a windmill on Wellspring Farm (Easy for me say, er, write!) and added a rolling tank to supply the water, via pipes. Most importantly, I didn’t worry about making all my characters knowledgably about mechanics. 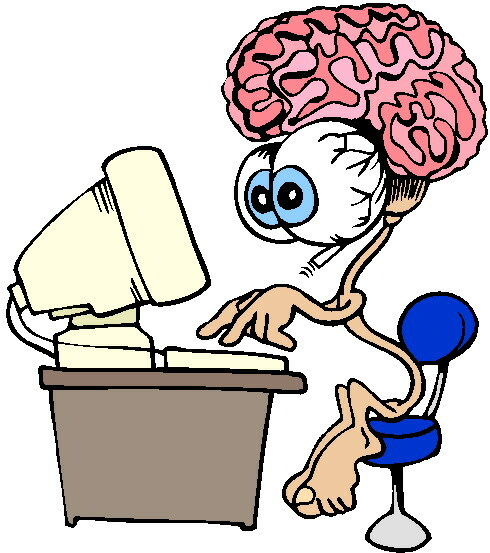 In my story, as in real life, not everyone has the same skill set, but everyone’s help is needed. 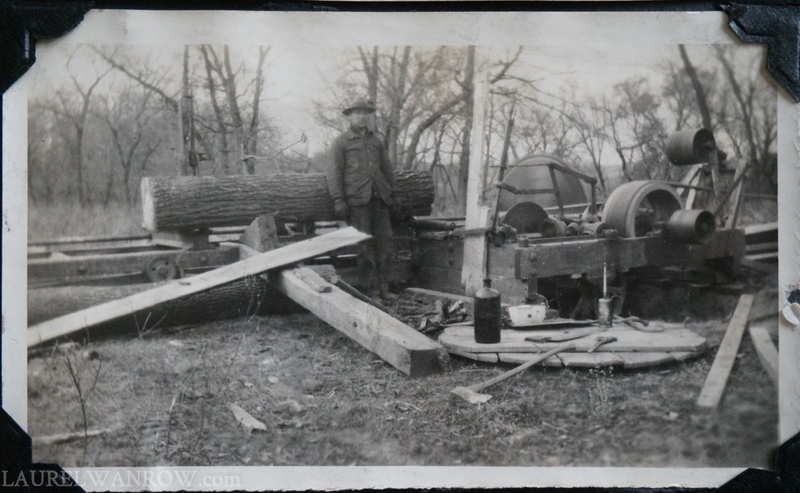 Herb Wanrow operated his sawmill every winter from the late 1910s to the 1940s. After a couple of seasons, he achieved what he set out to do: he was able to purchase a new car, a 1922 Star Car. 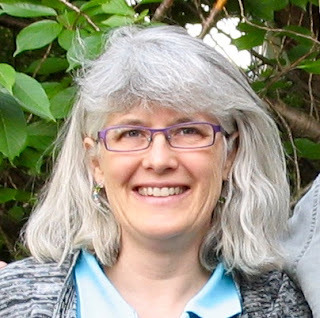 Laurel Wanrow has dabbled in genealogy since high school, recording family history tales from both sides of her family, and her husband’s. 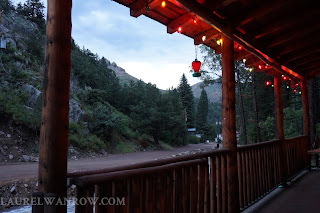 She’s lucky enough to be caretaker for the Wanrow family cabin in the Rocky Mountains, built by her father and his parents, though the lumber did not come from Herb’s sawmill. 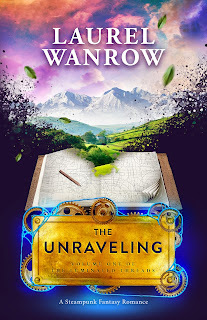 The Unraveling, Volume One of The Luminated Threads is Laurel’s debut novel, a Steampunk Fantasy Romance is set in Victorian England in a rural valley of shapeshifters and magic. It’s available on Amazon in ebook and print if you’d like to hold that gorgeous cover in your hands. 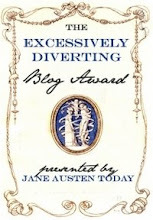 Laurel can be found on Pinterest, Goodreads, Facebook, @laurelwanrow and blogging at www.laurelwanrow.com. 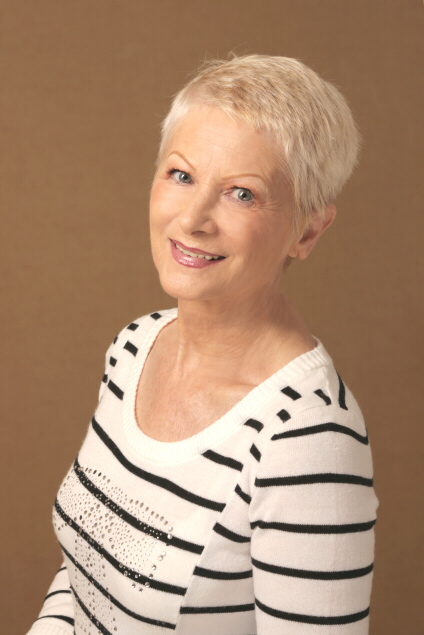 To be notified of new releases sign up for Laurel's Newsletter. History of the Highland Games! 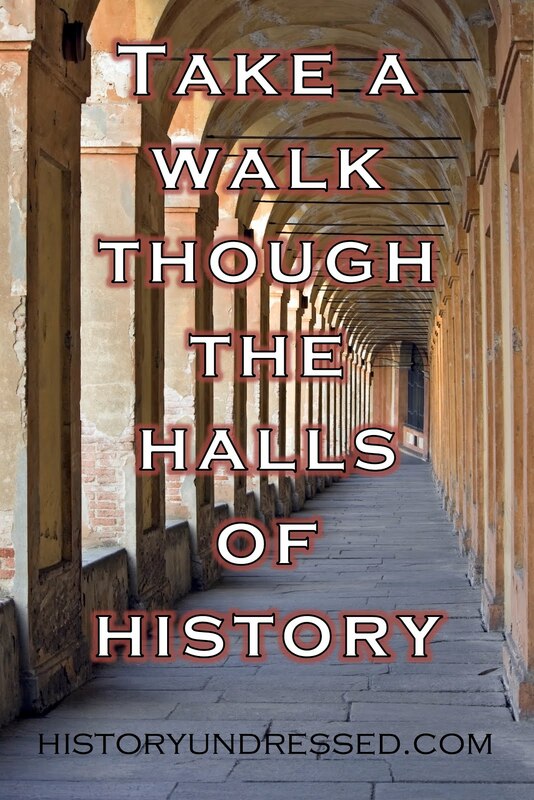 Welcome guest author Laurel Wanrow to History Undressed! Laurel has written a two part series about Sawmill Stories. 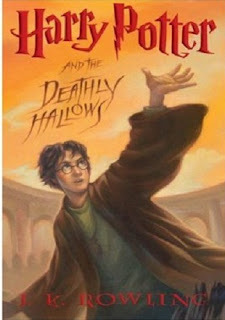 Below you will find part one and she will be back again next week to share part two with us! Thank you Laurel for sharing with us!! 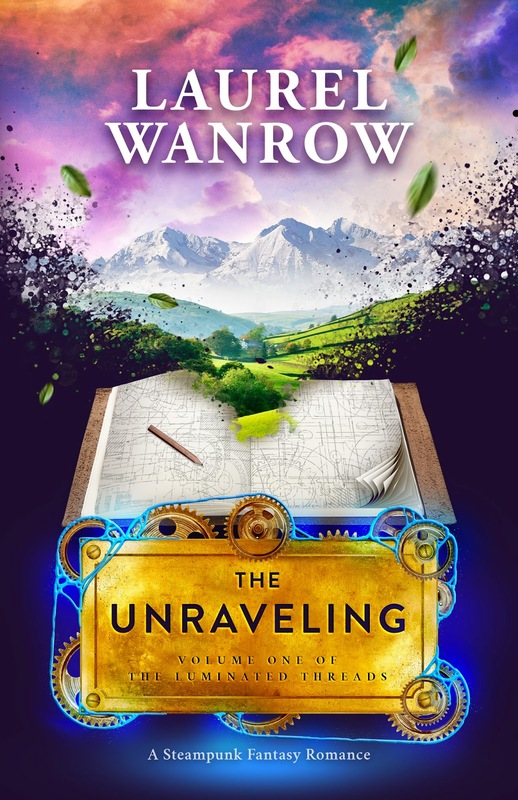 While writing The Unraveling, I was asked why I chose to locate my steampunk story in the countryside instead of London or another city, the gritty setting of most steampunks. I thought on this, and finally came to the conclusion it’s because I’d never been to London. Now you have to understand, I’ve never lived on a farm either. But my dad did, and I’d been to plenty of farms. 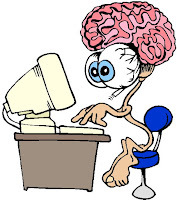 It’s a case of write what you know…almost. Machinery and steam engines were new territory for me, but here I had family help again. My grandfather—my dad’s father—owned and ran steam engines. Through stories my dad and his sister told I could more easily imagine life on a farm working with those big engines than any adventure in London’s back alleys. Let me stop here and give fair notice that this article is an oral history, not a research document. 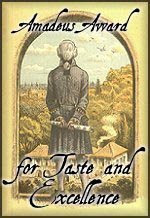 This two part series of sawmill stories is a recollection of the times and how I used family tales to enhance my novel. 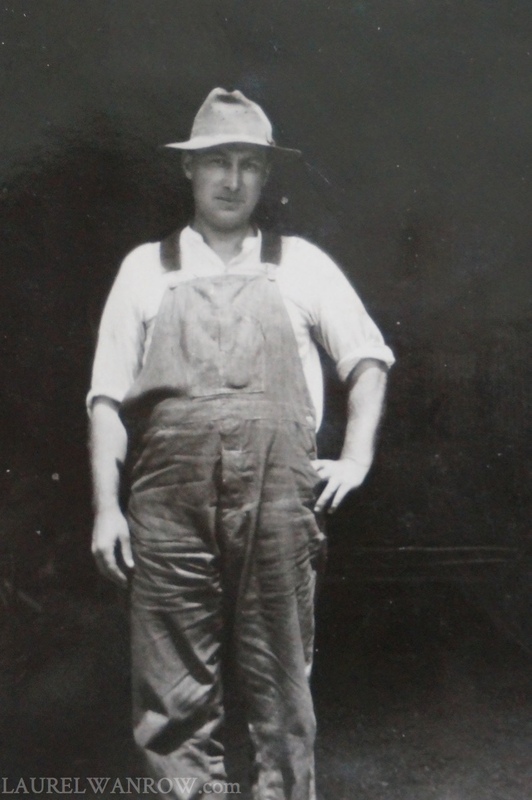 My grandfather, Herbert F. Wanrow, was a first generation American born in 1889 to a farming family in eastern Nebraska. But Herb didn’t seem to take to that life. Typical of most young men, he liked fancy cars…but needed an income to get them. 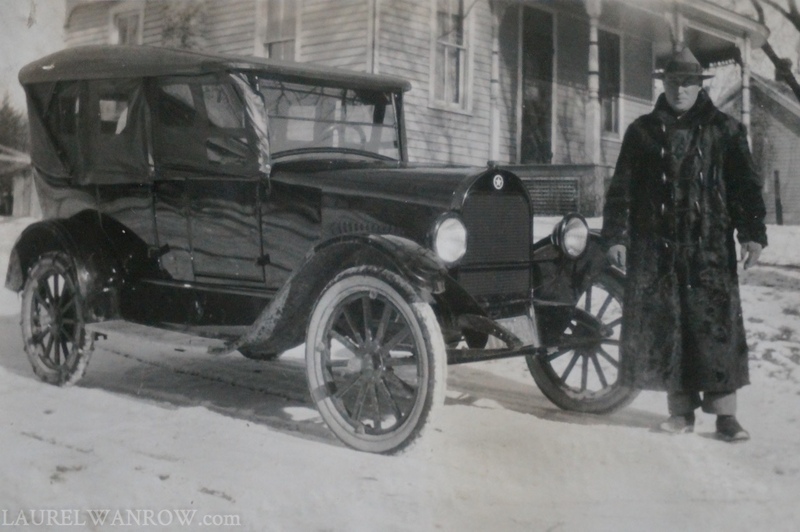 By the time Herb reached his twenties in the 1910s, he was selling farm machinery. Companies such as Gleaner, Oliver, Avery, Case and Meikle shipped the parts in crates by rail to their nearest town, Humboldt, and Herb hauled them home with a horse and wagon and put them together. 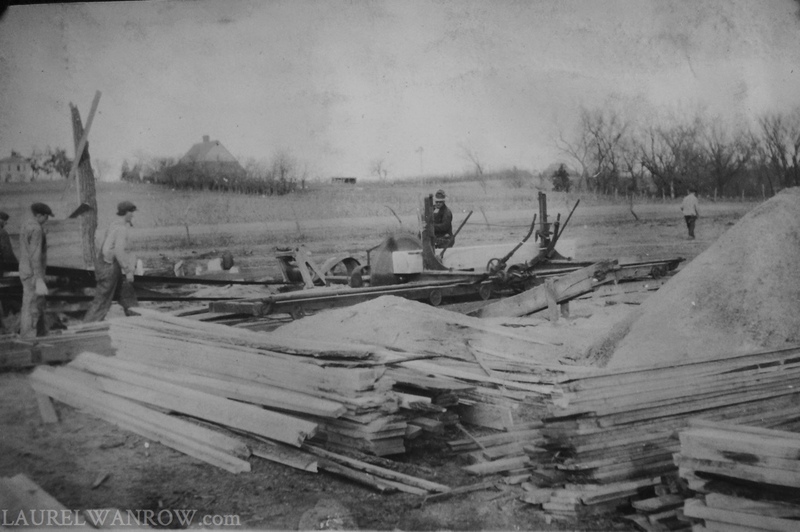 Selling farm machinery was seasonal work, so pretty quickly Herb put his money into purchasing a sawmill to keep work going into the fall and winter. Pouring over our photos, I got a sense of scale for an operation that these days most of us only see the results of in Home Depot. My grandfather’s sawmill consisted of the large upright blade and its mechanical parts, all of which were mounted in a substantial wheeled platform. Under the platform is a pit, dug to accommodate the sawdust. 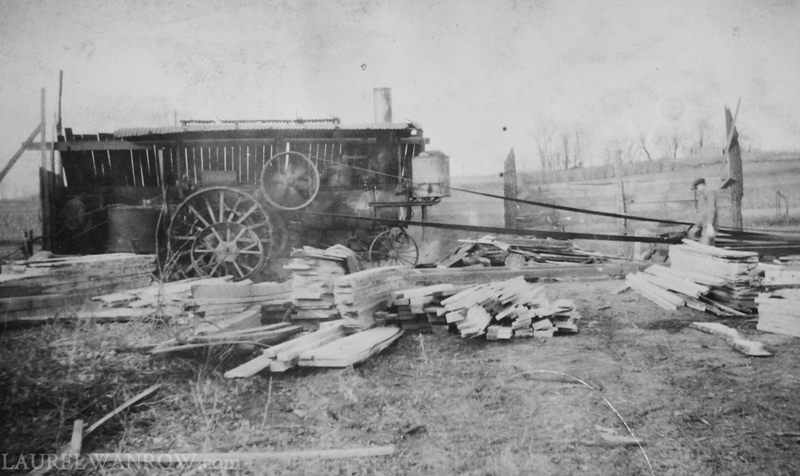 To move a sizable log—such as the one Herb is leaning against—past the blade with the precision to produce lumber required a wheeled carriage set on rails. This log (once cut, the tree trunk was always referred to as a log) has passed through the blade three times already to ‘square it up’, or remove the bark. After the final bark slab is removed, it’ll be called a cant. 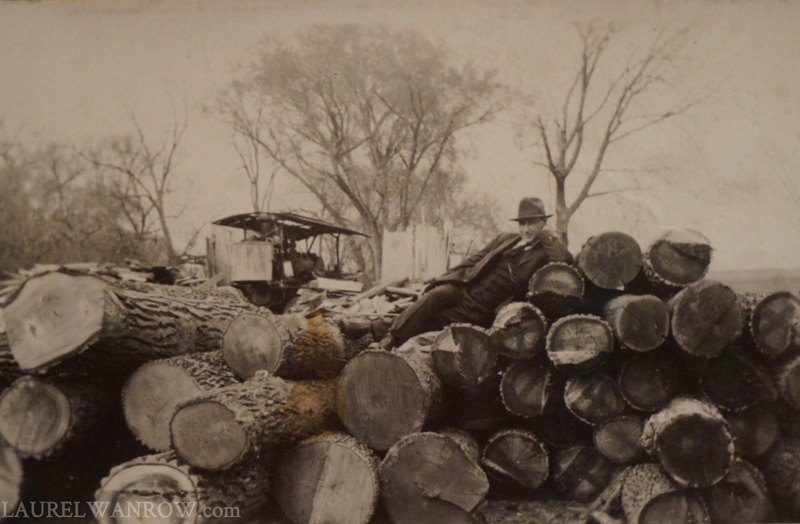 For all that, the sawmill is only half the equipment needed; like many machines of the day, it wasn’t self-powered, but operated with a secondary source. By 1923, self-propelling machinery was being patented, but that doesn’t mean everyone could or did use it. During this time, in this part of Nebraska, horses or mules still powered the farm implements. But a sawmill required more power, so Herb also bought a steam engine. Its power is transmitted to the sawmill with a belt that runs around the wheel-like pulley to the far right. Herb set up his steam engine with a windbreak of slabs some distance from the sawmill and ran the long belt between the two. 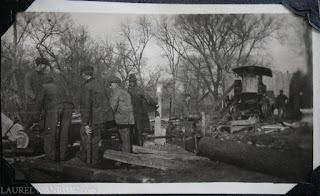 Feeding wood—usually the endless supply of slabs—into the firebox at the back was the work of one full-time helper, a fireman. Another helper filled the water tanks on the back and front of the engine from a water tank on a wheeled carriage…and kept that water tank refilled from the closest source. For one entrepreneur, Herb (in the felt hat) ran quite an operation. Beyond his fireman, the hands helping were usually the customer he was cutting wood for, and his boys or hired hands. They rolled the log onto the carriage, and then turned it with cant hooks. Using the upright ‘dogs’ to hold the log in place on the rolling carriage, Herb moved log after log through the blade to produce cants. 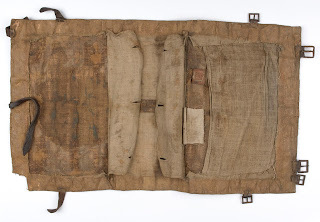 From them, he cut the rough lumber to fill his customers’ orders. Herb Wanrow owned the only steam engine and sawmill in the area. Word of his skill as a sawmill operator spread and those stacks of lumber earned him a winter income. Next week I’ll share how my grandfather took his business on the road. Laurel Wanrow has dabbled in genealogy since high school, recording family history tales from both sides of her family, and her husband’s. She’s lucky enough to be caretaker for the Wanrow family cabin in the Rocky Mountains, built by her father and grandparents, though the lumber did not come from Herb’s sawmill. 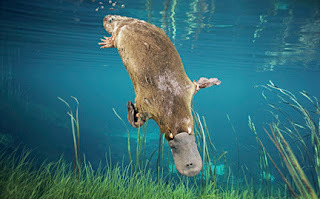 Check out this video of the week: A different take on the Declaration!